يقع موتيل Lake Forbes على بعد 5 دقائق سيراً على الأقدام من المحلات التجارية والمطاعم في فوربس، ويوفر خدمة الواي فاي المجانية ومسبحاً مظللاً بالمياه المالحة ومواقف مجانية للسيارات. تحتوي جميع الغرف على شرفة وتلفزيون بشاشة مسطحة مع قنوات فضائية. يقع Lake Forbes Motor Inn على ضفاف بحيرة فوربس مقابل منتزه الأسود. ويقع على بعد دقيقة واحدة بالسيارة من مضمار فوربس وعلى بعد 6 دقائق بالسيارة من نادي فوربس للغولف. تحتوي جميع الغرف المكيفة على ثلاجة ومكتب. وتشتمل جميعها على حمام داخلي مع دش ومجفف شعر ولوازم استحمام للضيوف. وتضم بعض الغرف شرفة، وتوفر بعضها إطلالات على البحيرة أو المسبح. Room was comfortable and clean, enjoyed the pool (in 40+ heat!) and Manager was very friendly and helpful. 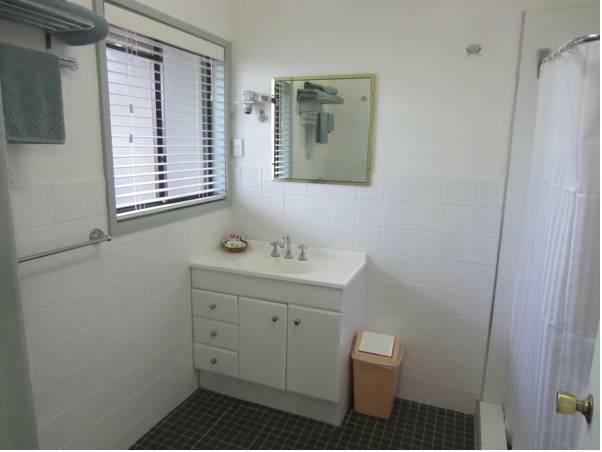 Ideal location, adjacent to the lake and surrounds, walking distance to shops. Very clean with good tea making facilities. Pleasant walking track through Park, along Lake with short walk to town. 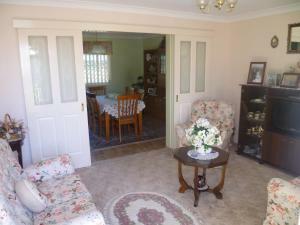 A Veranda with seats & small table at front of room to sit out and enjoy the outdoors. Staff very helpful and tea making facilities good. Relaxing after a long days drive. Comfortable. You get what you pay for cheap and basic. Very good. The staff were very helpful, especially when woken at 2:00am so they could get keys to get back into room to collect pill that were left in fridge. Also when asked about getting a micro wave, they bought it around in about 10mins. The swimming pool was lovely too. It was a very good stay, as the rooms were clean, hotel was well-managed, and the staff (all family members -- Adrian and Mei) were very friendly and helpful. This is definitely a good place to stay when one visit Forbes. 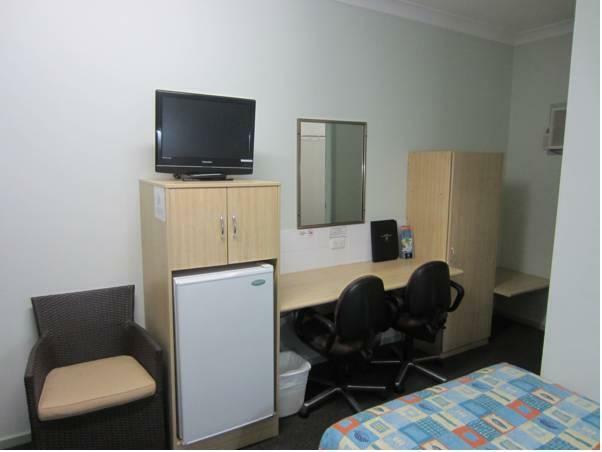 This is a great place to stay for the Business Traveller. Rooms were quite good. Very Clean and smelt great. The management were incredibly helpful and went why beyond helpful to be kind and pleasant to me. There was some great parking and it was very private. Air con worked and the rooms were very cool to come into after a very hot day! Wonderful area, great service, great for a restful night. Large room.Motel was clean.Staff were friendly. We only needed a place to stay after a scheduled late start.Syaa heated. The room and guided us on arrival. The room was a loft room. 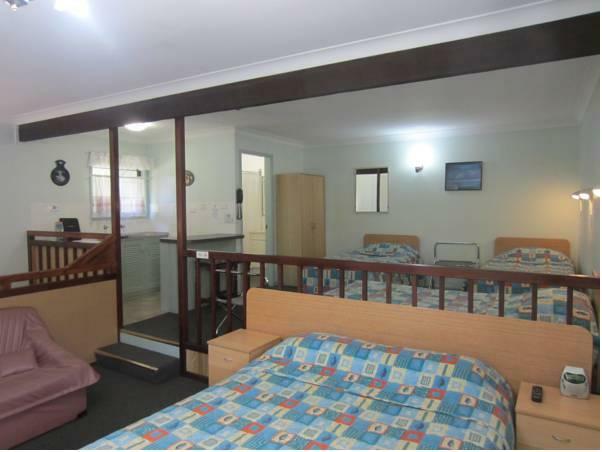 The motel is right on the Newell highway which is the major transport arteries of Australia.Don't stay here if you cannot abide the sound and vibration of large trucks.